msshe, thanks for the kind words and for sharing my post with your readers! I love reading your posts. Most of the time I am nodding “yes” because I understand your southern viewpoint. I especially liked your post on funeral food too. Keep ‘me coming! (Sheila, aka Msshe) from Mykentuckyliving. P.S. I hope you don’t mind my sharing your link with others…as I know my southern and northern friends will get a chuckle whether it is about southern women, families, food, etc. Sheila, I’m delighted that you enjoy my posts! Feel free to share my link with everybody you know!! Todd, my sister’s late mother-in-law was from Iowa. At Thanksgiving, she’d usually bring two types of pumpkin pie and a crudité platter, bless her heart. I’m all for adding in the chocolate chips and bourbon, but I draw the line at walnuts. No Derby pie for me! No, I never eaten dessert off the floor. But once a bottle of wine broke in my car’s floorboard & I was “tempted” to get a straw & drink it right off the floorboard. It had been longer than 3 seconds (the rule) so I didn’t. Wish I had of…it was REALLY good wine!!! Love me some “pah-con” pie, tho!! How do you say it? Seems every southerner says it differently!! Sabrina, HA! Love your temptation story! All my friends and relations from MS are “puh-con” people. I can’t stand the sound of the word “pee-can”! 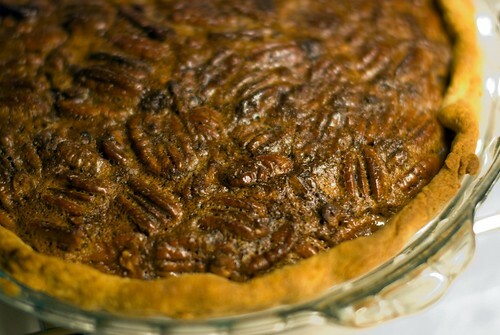 Pecan pie is number one for sure – I’ve especially loved a Virginia recipe of it which uses molasses instead of corn syrup – and it adds to the sensation of a fantastic nut flavor. Though a born, bred and proud New Yorker, where individuals have just as many manners as other regions, no regional American food has ever surpassed traditional southern food for me. I will say that even apart from being an Empire State native myself, an intensely cinnamon apple pie using tart but firm McIntosh (yup, Macs for pie) with a slice of extra sharp cheddar is as equally phenomenal an experience….though time with pecan pie outlasts all others – I never tire of its taste in all variations. On a very promising final note: a San Francisco coffeeshop owner, the hippest of the hip, clued me in on some news that should raise hope in the south – and everywhere else. The nearly vanished presence of the once-ubiquitous Corn Muffin is poised for a big return, riding the comeback wave of mac-and-cheese. So he said. Time to buy stock in Jiffy Cornbread mix? I so so so agree–if it’s bought in the freezer section, it’s awful. It’s really a simple pie to make, in my opinion. And it cannot be improved upon–where else can you get crunchy, toasted nuts PLUS custard in a pie shell. 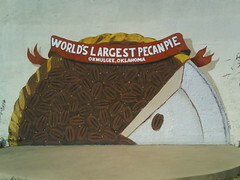 Pecan pie is pure magic!!! 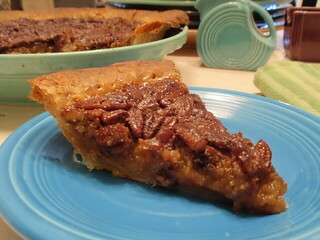 Have you ever tried to do a pecan pie for two? 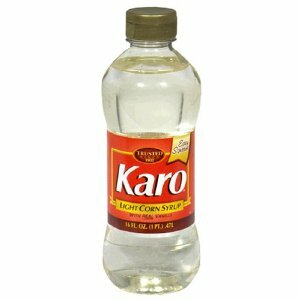 It’s never occurred to me to use anything other than Karo syrup! But I feel pretty strongly that if you use light Karo, you should use brown sugar – and if you have to use white sugar then you should use dark Karo. There’s a depth there that I just don’t think you can get with white sugar + white syrup. Now I know where my mother gets all of these wonderful Thanksgiving dishes and other fried things she makes. She has never really enlightened me on a lot of things, perhaps because we never really got the chance to due to one thing or another (mainly work). I don’t know. I’m going to show her this blog though, she’ll love it.